ensō is the new onestyling: New brand. Same Company. More Passion. New York, NY, November 20, 2016: It’s official, ensō replaces onestyling and will focus on the high-end professional market. It is live at enso4stylists.com. We are happy to announce ​the launch of the premium tools brand ensō​ - "By Hairstylists, For Hairstylists" from our Partner onestyling. The branding effort was led by LSW Partners, Veronique Gautier and Maren Sostmann, as part of their Brand-Building Boutique activity: TheBranD.N.A.Lab.com. Discover the new premium tools brand "By Hairstylists, For Hairstylists" and stay tuned for special LSW offers. “In just a few years, the company onestyling has advanced to the forefront of the industry with one clear objective: raising the bar in the hairstyling profession. Today, we are proud to introduce the ensō brand as the ultimate symbol of our commitment to our shared passion for the Art of Styling. 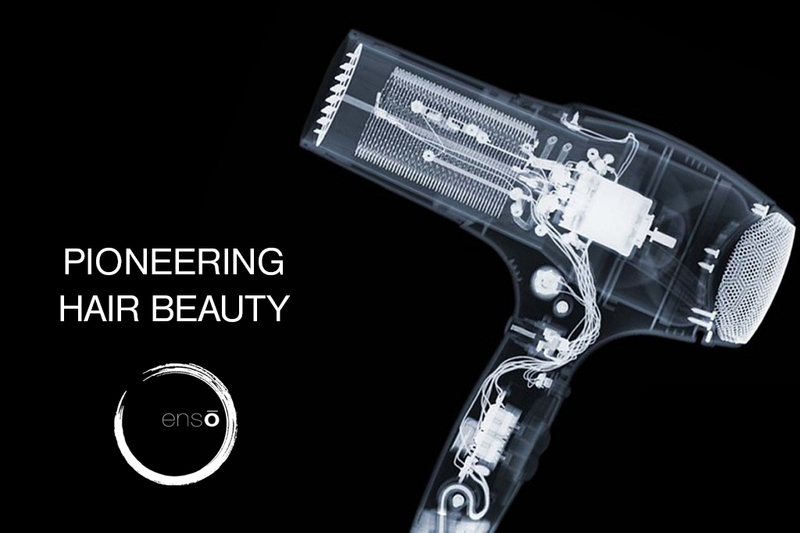 More than ever, ensō will pioneer new technologies that will unleash new creative possibilities for stylists. ensō is the quintessential professional tool for Stylists, both empowering and inspiring”. The company reinforces its commitment to develop game changing technologies. These will soon be distributed under the name “ensō exclusives”. The very successful “epic” line remains as it has become synonymous with “performance”. The “cool” line replaces “verge” and is dedicated to Fashion trends. Finally, “curated by ensō” will regroup all the best tools developed by or with like-minded partners whose passion for innovation and quality match ensō standards and mission. This philosophy is what has always made the company fundamentally different, and is the reason why ensō is able to pioneer the next generations of hair beauty tools that make a real impact in the practice of hairstylists. More than ever, ensō will empower its Master Brand Ambassadors to lead our R&D process. ensō is the only brand that gives stylists the opportunity to design their own tools for their individualized needs, not just to test products that engineers have developed. There is an opportunity for everyone: Master, Brand Ambassador, Student, Blogger or Fan. Professional Hairstylists can register to the ensō club and take advantage of amazing Monthly Must-Haves Deals designed for them, and to grow their Salon’s business. ensō Journey - ensō embodies the quintessential professional tool for Stylists, both empowering and inspiring.